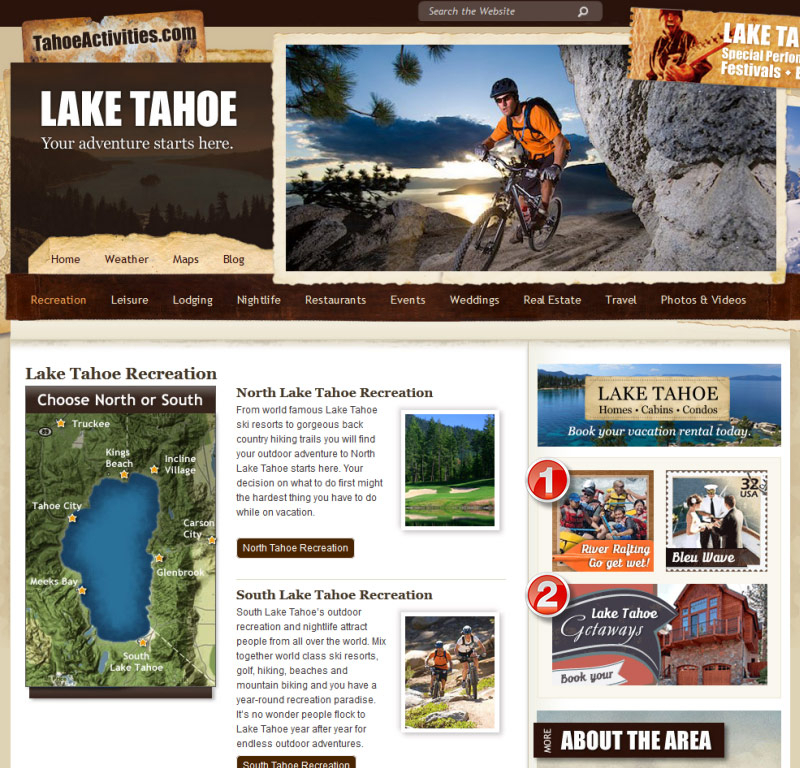 Vacationers come to TahoeActivities.com to research everything there is to do and see in the Lake Tahoe area before they visit. Make your business stand out, become a Featured Business. When you upgrade, your business is given priority over free ads and placed in our Featured section at the top of its related category page. All Featured Businesses rotate randomly each time the page is loaded so you get equal exposure. Your business will be featured at the top of your business category. Detailed description of your business with up to 400 words. Free ads are limited to approximately 100 words. Showcase up to 16 photos related to your business to show visitors what you have to offer. Up to 3 keyword phrases that link directly to the related page on your site so visitors find exactly what they are looking for. Have a Lodging and Real Estate businesses? Consider a Branded Guide and offer your visitors a personally branded version of this guide. We update it for you. Get even more exposure with a Featured Business Plus Account. Once you become a Featured Business you can upgrade and advertise on the opening page for your business in the Parent category as well. 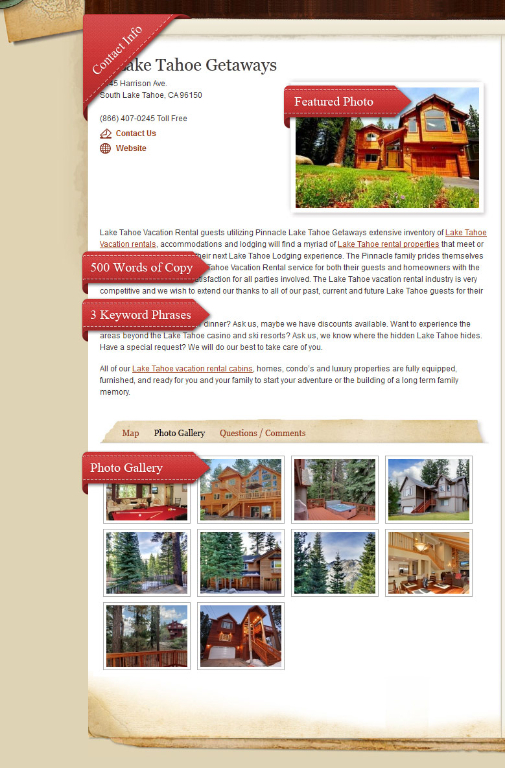 For example, if you were a Vacation Rental company in South Lake Tahoe, your business would be showcased in the featured section on the South Lake Tahoe Vacation Rentals page, then in the Parent Category South Lake Tahoe Lodging as well for only $120 annually. More visitors seeing your business means more action! Space is limited so guarantee your spot today, and sign up now. What better way to captivate visitors with your business banner ad – visually eye catching imagery to promote your services. Don’t just get click through traffic, but visual impressions to really make an impact. See our pricing below or contact us for possible other options you might request. Please contact us if interested in discussing.